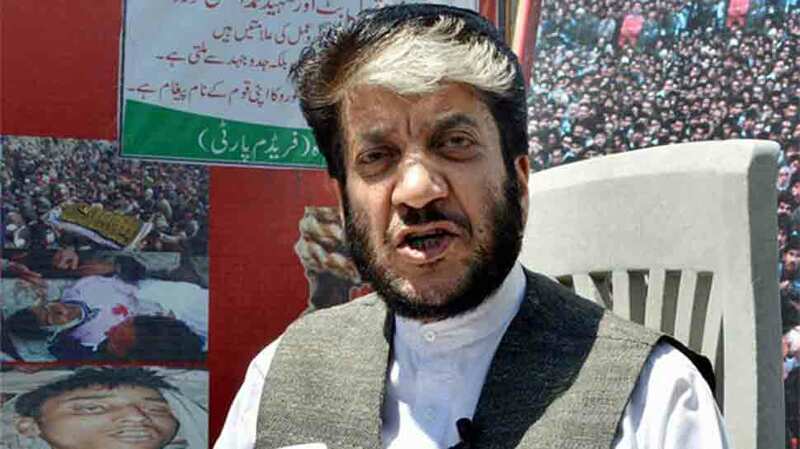 Srinagar, March 29: The Enforcement Directorate on Friday attached the property of Hurriyat leader Shabir Ahmad Shah at Effandi Bagh, Rawalpora, Srinagar. It said that the property is in the name of his wife and daughters. Shah, ED said, has links with Lashkar chief Hafiz Muhammad Saeed and Jaish-affiliated Mohd Aslam Wani, and was involved in terror funding. “He has been involved in carrying out illicit activities along with his accomplice Mohd Aslam Wani, who is an activist of militant organization Jaish e Mohammad. He was using Aslam Wani as a carrier for collecting Hawala money sent by his Pakistan based sympathizers through Hawala operators to deliver the same in Srinagar,” ED said on Friday. 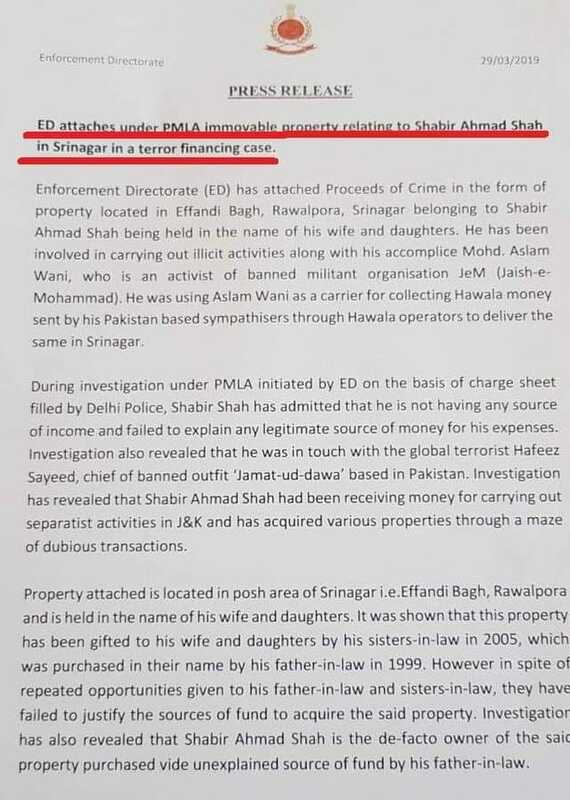 “Shah had been receiving money for carrying out separatist activities in J&K and has acquired various properties through a maze of dubious transactions,” ED said. The property attached, according to ED, has been gifted to his wife and daughters by his sisters in law in 2005, which was purchased in their name by his father in law in 1999.